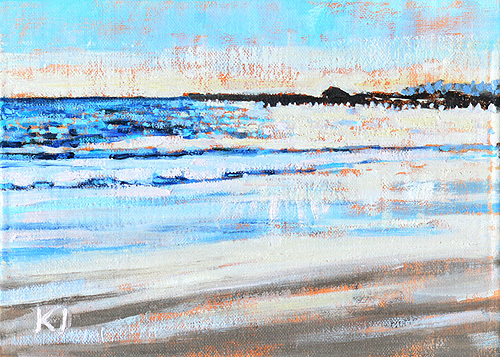 Afternoon light flaring on the wet sand. 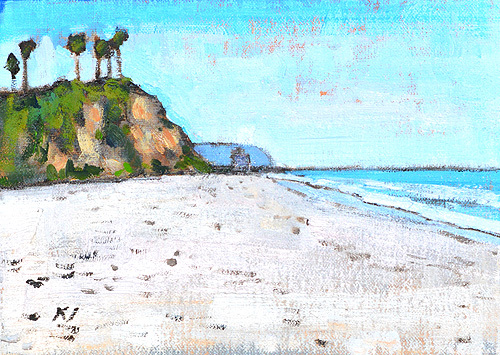 East Beach. 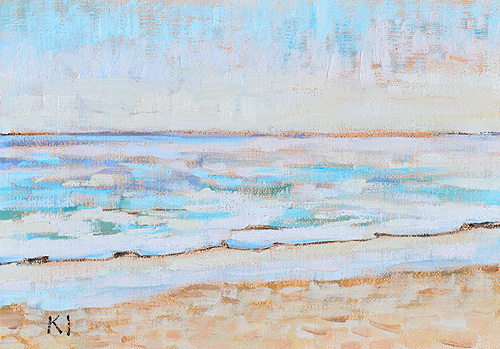 "Dawn's early light" on the beach in Santa Barbara. Happy Independence Day! 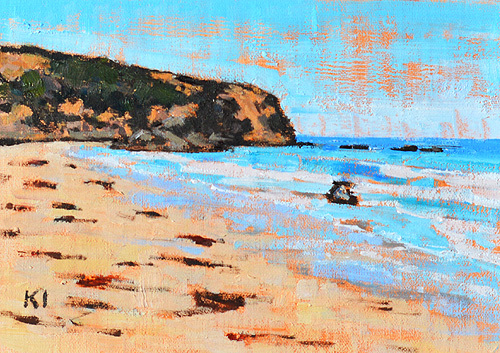 Started en plein air (outside on the sand) in Crystal Cove, California. 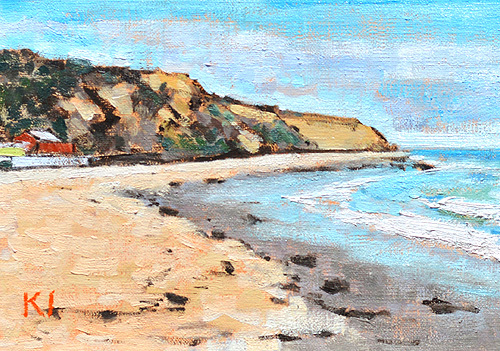 Afternoon in Dana Point- sold! 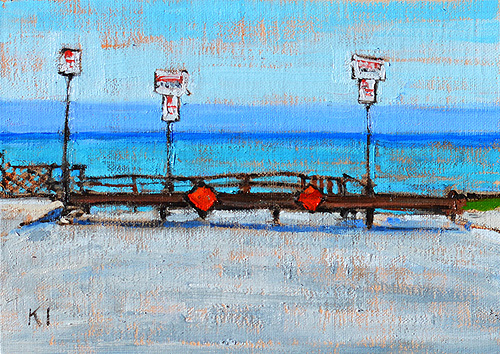 Here are more : California paintings for sale. 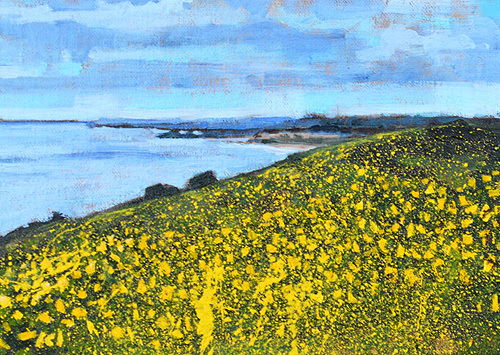 Yellow wildflowers on the bluffs overlooking Crystal Cove. 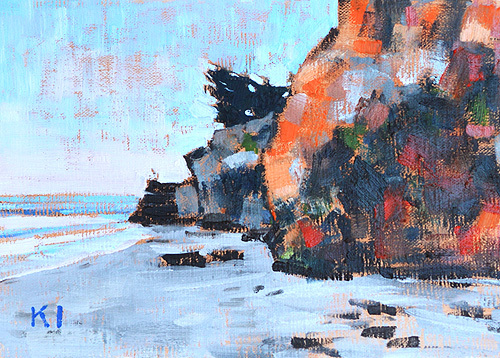 A plein air work from my recent trip to Laguna Beach. I'd planned this one as just a color study of the softening light towards evening, but I like the tranquil mood of the completed painting. 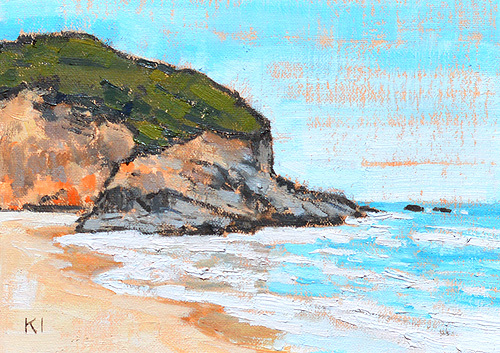 A collector asked me to keep this one on hold for a few days- but here are more Laguna Beach Paintings for sale. 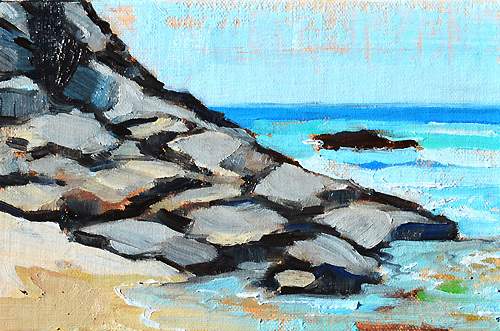 Waves pooling at the base of the rocks on the beach in Dana Point, California. Where the road ends at the DANGER CLIFFS in The People's Republic of OB. No parking. Looking south along Monarch Beach.